Jeffrey Jennings graduated from the School of Sustainability in 2012 with a Bachelor of Arts, focusing on Society and Sustainability. He also has a Professional Science Masters in Science and Technology Policy from ASU’s School for the Future of Innovation in Society. Jennings works as a sustainability project coordinator for Arizona Public Service, where he focuses on corporate social responsibility and how to make APS a more sustainable company. He was named among the 2016 GreenBiz "30 Under 30" for his leadership in the sustainability field. Why did you choose to study at ASU’s School of Sustainability? Before choosing ASU, I considered Northern Arizona University and University of Arizona. It was a bit of a journey. I had always been attracted to multiple disciplines but wasn’t sure it would be possible to successfully combine my interests into one major. Initially, I started out in accounting and quickly realized that it wasn’t a good fit. Next, I strongly considered urban planning or supply chain before landing on sustainability. After much research, what ultimately solidified my change in major was the interdisciplinary nature of sustainability and the opportunity to study and understand how seemingly disparate subjects were highly interconnected. I thought that it would be an advantage to study approaches on how to gain multiple perspectives to address the complex global issues facing our world today. How did your experiences shape your work today? 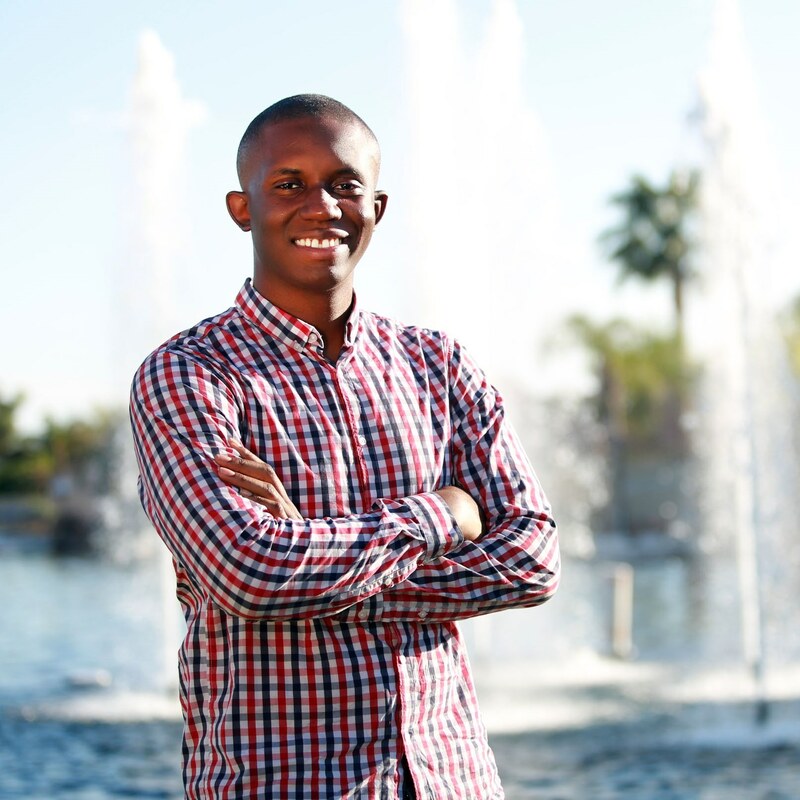 My experience as a student at ASU afforded me leadership opportunities through participation in student led organizations such as the School of Sustainability College Council. I also studied abroad in Mexico and Costa Rica to further broaden my understanding of sustainability from a global perspective. During my senior year at SOS, I participated in a Dell-funded job training program where I worked as a sustainability analyst for about two years. This experience provided invaluable exposure to corporate social responsibility and allowed me to see this as a viable career option. I was immediately able to apply the knowledge and experience I gained during my sustainability studies to my current role as a sustainability project coordinator at Arizona Public Service. How are you leading the way to a sustainable future? At APS, I coordinated an annual event called “Sustainability Week.” The main purpose of this event was to educate employees on what sustainability means and why it is important. It involved collaborating with many different departments and included a variety of activities, which made the event a success. I also hope to continue raising awareness and expanding APS employees' knowledge about sustainability. I would like them to understand that sustainability is not just about the environment but social and economic impacts, as well, and that sustainable practices are relatively easy to implement in everyday life. What advice would you give to prospective or incoming School of Sustainability students? Sustainability is still an emerging issue that presents many different career opportunities. If you are not sure what you want to do, internships are a great way to gain a sense of what you like. Do not be afraid to explore and take risks. I am excited to see how this field will continue to evolve and create new opportunities for graduates.